The Moon Prince by Kevin Fraser: Spring Break: Out of Sight! Just Like That! Spring Break: Out of Sight! Just Like That! 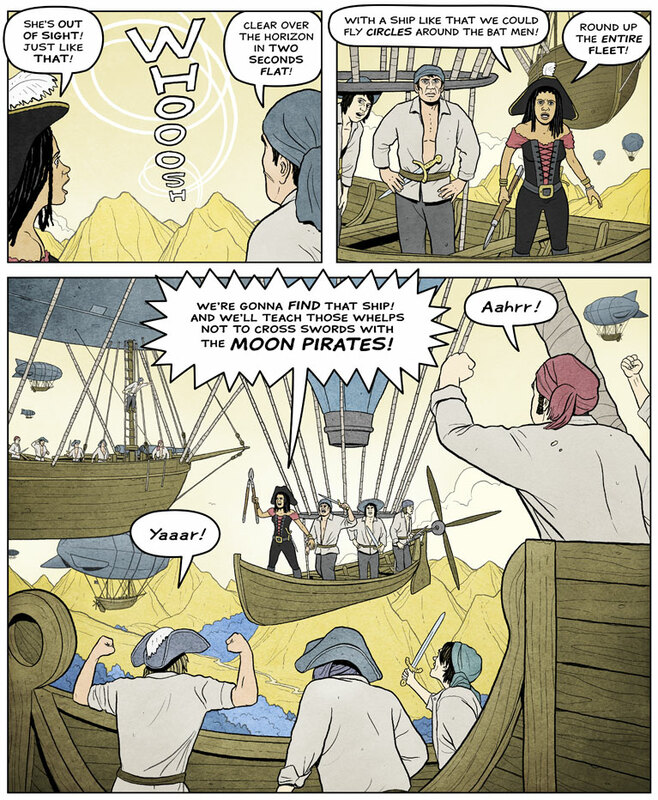 I'm still getting caught up on new pages of The Moon Prince (drawing hundreds and hundreds of bats, mostly) so in the meantime here's another of my favorite older pages - page 101, where the kids escape from the Pirate Queen - and make her really mad! New pages will be back on March 24th!